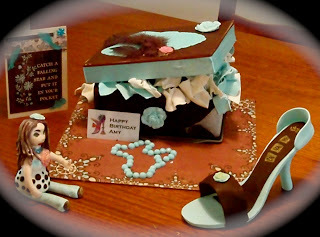 SHORT & SWEET: FASHIONISTA - high heel shoe for Amy's birthday. FASHIONISTA - high heel shoe for Amy's birthday. Model of my beautiful daughter, whose birthday we were celebrating. Figure, beads and shoe made from gum paste. 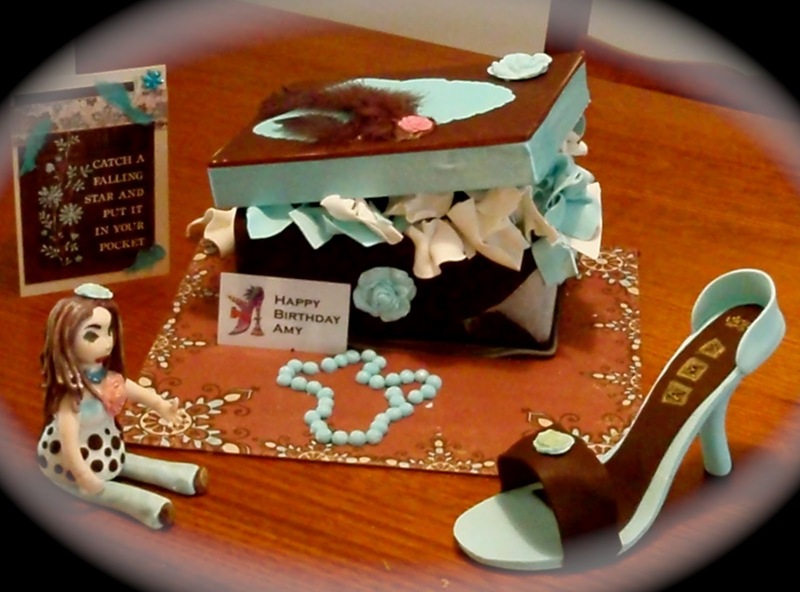 The shoe box was a rich chocolate mud cake with [fondant tissue paper] holding up a polystyrene lid.